One of the most outstanding middle distance runners in the storied history of the Lowell High School track program, Albert J. 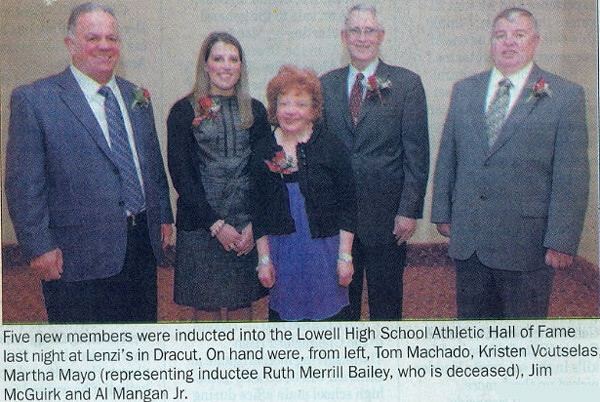 “AIby” Mangan, Jr. etched a place for himself in the annals of not only Lowell High School, but also the University of Massachusetts, Amherst, setting numerous school records at both institutions. During his sophomore and junior seasons (1964–1965), Alby was a member of Lowell’s Essex County League Cross Country Championships. He set a Lowell High School record with a time of 12:07. 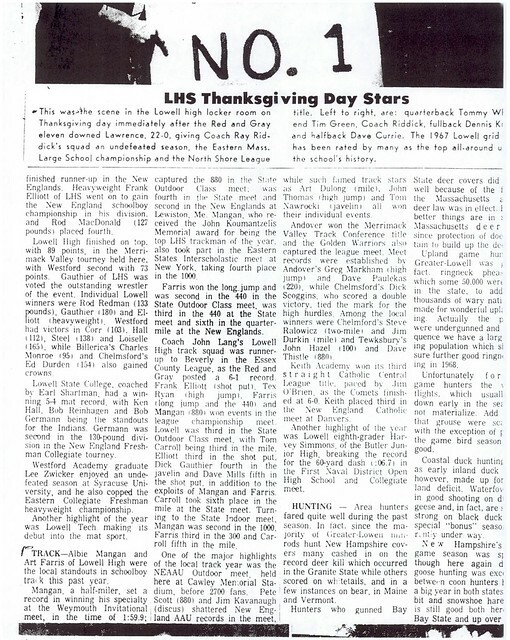 As a senior in the fall of 1966, Alby was Captain of the LHS harriers and again placed 6th at the Massachusetts Class A Cross Country Championships. During the indoor season of 1965–66, Alby was a dominant force in the 600-yard run. He was league champion in the 600 in the highly competitive North Shore Indoor Track League in that event and also as a part of the Raiders’ mile relay team. 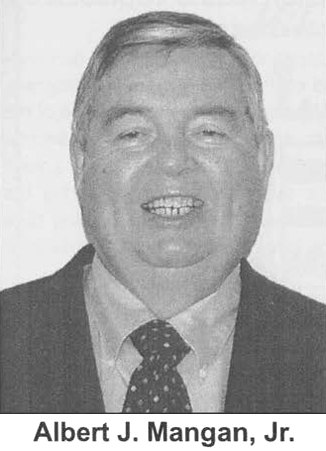 During his senior year (1966–67), as team Captain, Alby again dominated the North Shore League, setting a league record of 1:17.8 in the 600 and winning league championships in both the 1000-yard run and the mile relay. 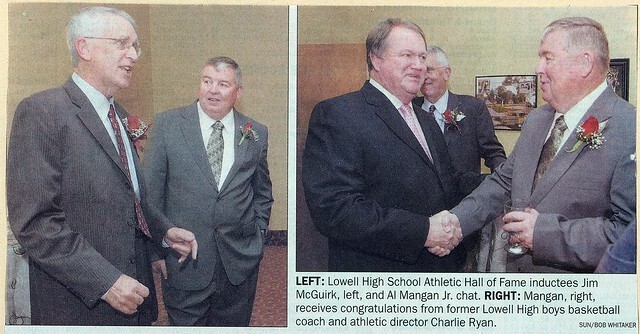 He was also part of Lowell’s State Champion 2 mile relay team, which set a LHS record. Alby went on to place 4th in the 1000 at the Eastern States Championships in New York. As a junior in the spring of 1966, Alby was the Essex County League champion in the 880-yard run, setting a league record of 1.59.4. He set a Lowell High School record of 1.58.0 and finished in 2nd place at the Massachusetts Class A Championships. 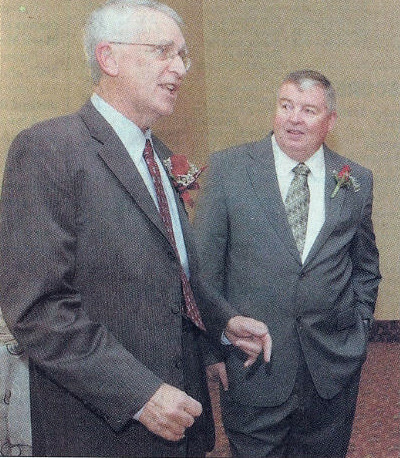 As a senior Captain in 1967, Alby culminated his high school career in grand style. He was again Essex County League 880 champion and followed that by winning the 880 at the Massachusetts Class A Championships. He went on to place 2nd at the New England Championships, setting a Lowell High School record of 1:56.4, a record that was not broken for almost 30 years. After graduation, Alby Matriculated at University of Massachusetts, Amherst, where he enjoyed a highly successful career. He set a freshman record of 1:15.4 in the 600 in 1968 and a later a school record in the indoor 880 (1:57.0) Alby served as team Captain of both the Indoor and Outdoor UMass Yankee Conference Track Championship teams as a senior in 1972. He placed 2nd at the 1972 Yankee Conference Indoor Championships in the 1000 (2:14.8) and won All-New England honors in the 2 mile relay in 1972.